Located in the heart of Paradise Point on the Gold Coast, we're known as 'The little clinic with the big heart.' Our team of experienced vets and vet nurses treat your fur friend like one of our own, ensuring their comfort and care during their visit. We're Gold Coast locals, animal lovers and passionate about what we do, so rest assured your pet is in the best possible hands. When you bring your fur friend into The Point Vet, you can take comfort in the fact we put the health of your pet first, always! Our clinic is not your everyday run-of-the-mill surgery, we think it's pretty cool and modern and comfortable—but don't worry we're not all about looks, we've got all the best up-to-the-minute equipment too...and the best bit is we're a small family-owned business – so your pets' health and well-being are always our focus! 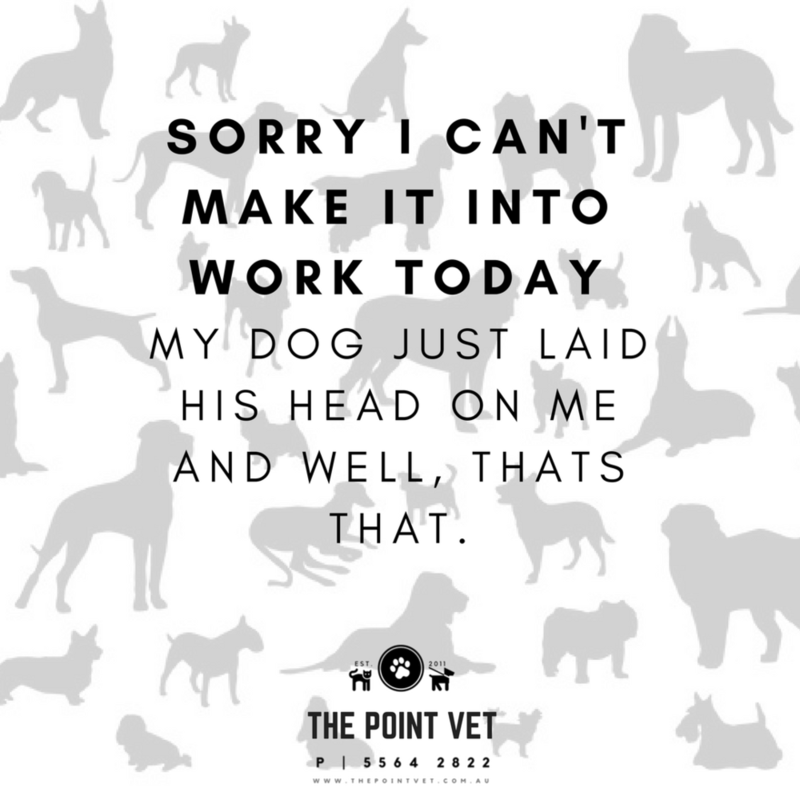 The Point Vet uses the latest protocols as set out by the Australian Veterinary Association - including the dog triennial (3-yearly) vaccine. This also allows for socialisation of puppies from 10 weeks of age and eliminates the need the old protocol of three vaccinations. The yearly heartworm injection for dogs is now licensed to use in puppies from 12 weeks of age for convenience. We offer the complete range of cat vaccinations including the Feline Aids Vaccine (FIV). With an in-house laboratory for instant results as well as access to several external laboratories, we offer a complete range of all the diagnostic testing your pet needs. As part of our complete veterinary service we offer the convenience of consultations in your own home. We find this is especially useful for older or larger dogs and when the time comes to finally say goodbye in the comfort of your pet’s home. The most important part of a puppy's life is socialisation - this means with other dogs of all shapes and sizes, breeds and creeds. Our puppy school, led by our nurse Lauren goes for four weeks and teaches your pup all the best manners to take home with you but also, learning how to behave around other dogs - young and old. If you have a new puppy and are unsure about whether you'd like to get involved in puppy school, please call the clinic, the girls are only too happy to answer any queries. From routine de-sexings to more complex surgery, The Point Vet offers it all. Your pet’s health and optimum recovery from anesthetic are our priority and to ensure this, all our surgical cases are placed on a drip and given pain relief as standard. There is no extra cost incurred for this. Our patients are fully monitored during anesthetic and their recovery. We have specialty waiting areas for all our pets for pre and post surgical care and monitoring. Oral health/hygiene is very important for optimum animal health. We perform routine dental prophys as well as the more complex orthodontic procedures. I’ve been surrounded by highly respected, intelligent and much sought after vets all my life. Relocating to Queensland and finding myself a sitter for an adorable little pooch with ailments was a little unsettling. Thank you John for taking your veterinary practice the highest level one could possibly anticipate. I highly recommend The Point, having attended two other veterinary practices since my brief time on the Gold Coast over the last year. If there was a six star rating I'd give it to you. What a amazing group of people from the phone call to make an appointment until the payment of the bill. Kind, caring and lovely people this is definitely my animals new vet. I would recommend to everyone! This vet is the best place ever! Dr John is a legend! His team is awesome! They are so friendly and take the best of care with my puppy and cat. Nothing's a problem! If your chasing a vet or looking to change vets, check these guys out! You won't be disappointed. Dr John, Tippy and Charlie both say thank you and your team for looking after them so well. I am a super paranoid furbaby Mom, so I don't trust just anyone with my baby girl. We recently moved to the area and was told John is the best. I was not disappointed! It is beautiful to see someone doing the job because they truly love animals. I would recommend The Point Veterinarian to anyone! A MASSIVE thank you to John, Kelly and the rest of the friendly staff at The Point Veterinarian! My cat suffered severe nerve damage and acupuncture treatments have helped beyond belief with the repair! He would not be where he is now if it wasn't for you guys!! !